Fused Captains are unique Splicer Captains that have achieved the rank of "Fused" and thus serve as champions in the Archon's Forge Arena. 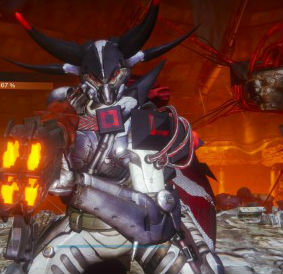 They can be summoned by inserting a Fused SIVA Offering into the console right next to the arena. The Fused Captain is the weakest of the Splicer Captain bosses in the Archon's Forge.